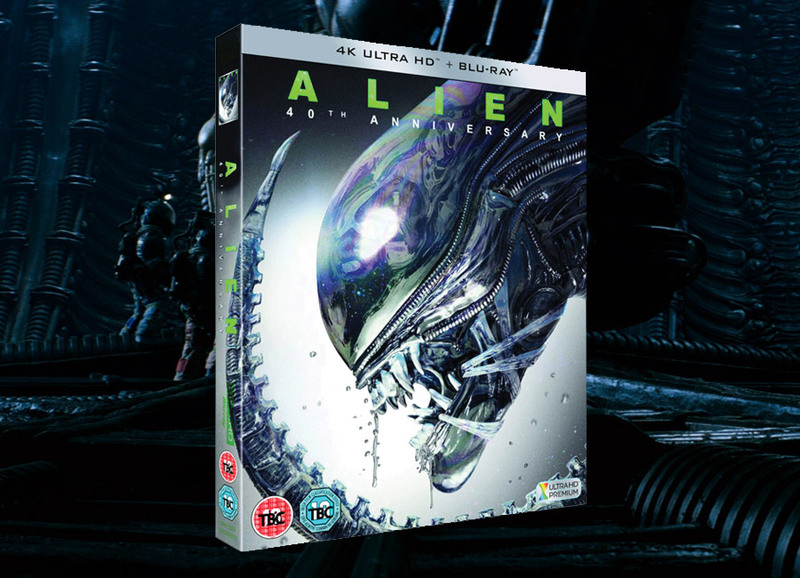 We knew it would happen- there will be a blue ray for Alien 40th anniversary. Is there anything left that isn't available already? 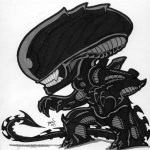 List or show a pic of how many copies of Alien you own, especially anniversary editions. I have the DVD Quadrilogy and blue ray Anthology versions. I will not buy another version unless the anthology ceases to function. Someone gave ol' Big Chap a good spit and polish. At the moment I only have Blu-Ray Prometheus, Alien Covenant and The Predator. I am in definite need of a quadrilogy upgrade! Side-note: Have you guys watched the blu-ray Alien3 at all? As much I'd be excited to watch it in HD I fear the crappy runner CGI would look even worse against the HD sets? Now if they could replace said crappy cgi with modern cgi, that would be freakin amazing! I Raptus 8 Get the Anthology. It is basically the Quadrilogy with blue ray upgrade with extra fanboy stuff. I think you can only find it used these days. I got a used copy from Amazon last year. Well worth it! It looks the same on the Anthology. It actually looks very crisp for a dank setting. The differences are the same but in higher def LOL! I am ok with that- the dialogue is still burried as ever at some parts though. I have the Quadrilogy, the Anthology (inc AVP) Boxset, Prometheus Blu-ray and DVD and Alien Covenant DVD. Had ALIEN and ALIENS on VHS too. I have only the Quadrilogy DVDs and Prometheus on DVD and 4k. Probably will buy this release if it has Atmos. I also have the first 3 Predator on 4k... And that's that. Ps. The release was also signaled in a previous post. There is no bigger fan than me, on this planet or LV 426. This is my collection in addition to a limited Alien Covenant Blu ray holder. I have the 35th-anniversary edition of Alien, 30th anniversary of Aliens, the Alien quadrilogy on blue ray, the Alien six-film collection and, and Alien Covenant on deluxe edition and 4k steelbook. Above the display is my very own facehugger replica from Covenant. Didn't have enough room in the pic for all my Neca figures, games, books, etc. as well. I'm jealous. I want that Blu ray holder! HunterGoetz Is that face hugger from the A Box? I bought one of those- they sold out fast. Would like to see more pics!